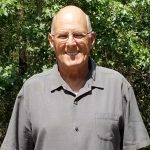 Skip is one of our unsung legacy leaders in our beloved aftermarket. 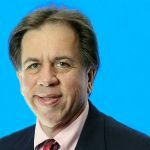 He just retired as the Executive Director of NASTF (The National Automotive Service Task Force). 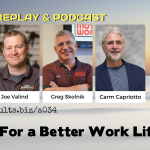 Skip gives us a firsthand account of the value NASTF brings to the industry. You will be surprised. 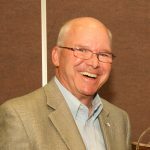 Skip is one of those very versatile industry leaders and a great example of a legacy aftermarket leader. It is important we hear his story. 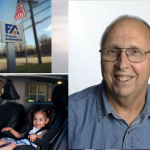 So prepare for an important understanding of the role NASTF plays for all of us and the storied career of a legacy aftermarket leader. If you want Work Life Balance, first, you must BELIEVE that it’s possible. Once you believe that it’s possible, you must DECIDE that is what you want and set your INTENTION to make it so. Become an expert at work-life balance by making it a habit, planning for it. 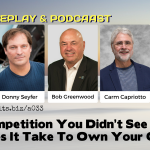 You’ve heard many of the principles in this episode but you may have never heard them in an unfiltered way from your industry peers. Make the choice what you are going to be. Be the master of your business. Be the master of your family when you are with them. NASCAR Experience Helped This Shop Owner Create Strong Systems in Every Department. 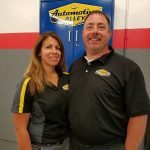 Jim and Shelly Fleischman created Automotive Alley in Arcade, NY from scratch while Jim was still teaching post-secondary automotive technology. Now working full-time in the business, Jim brought his passion for teaching and organizational skills to the business and Shelly brought her accounting experience. This meticulous shop with systems designed for improved efficiency is preparing to scale. Jim credits his past NASCAR experience as a guidepost for being lean and organized. Jim’s every move has been to consider growth through business model improvements along with additional locations. 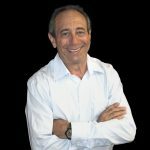 Jim is a big thinker with huge goals and the energy to do anything he puts his mind to. And all along the way, Jim will have a system in place that makes it all work. Life’s Lessons that Establish Your Strengths as a Leader. In the episode, Vic’s shares the remaining 5 life’s lessons. He covered the first five in episode 234. He’s very transparent as he speaks to how these lessons changed him as a leader. Are you taking care of your customers beyond their expectations? 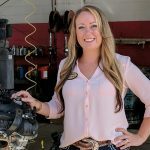 The business culture at Shade Tree Automotive in Grimes, IA is the biggest factor for creating satisfied customers and team members. 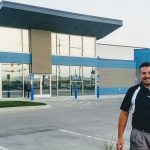 Owner, Clint Dudley has a brand-new building to service his customers. It was a team effort to design the building for top efficiencies. This AAA Top Shop in Iowa has also been recognized with the 2016 Torch Award for Ethics from the US Chamber of Commerce. Clint is a disciplined goal setter and has taken his entire team to Vision in KC in March 2017. He says hiring practices has made the difference in building his top team. Clint says we have a bright future and his new location has made him more convenient to his customer base. He doubled his tire sales in the last year. 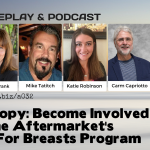 THA 032: Aftermarket Brakes For Breasts Program – Can One Repair Shop Make a Difference in the Fight Against Breast Cancer? You Bet!! Is it time to get involved in an industry wide fundraiser where 100% of the monies raised go to research on a breast cancer vaccine? Yes you have many philanthropic commitments in your community and you are so very proud of your efforts, but consider this is an industry program started as a total grass roots program by aftermarket service professionals and as a total volunteer effort with 100% of funds the raised going to breast cancer vaccine research. Communications is the driving foundation of what meetings are about. Many superior take-a-ways in this Academy lesson. If you are contemplating holding meetings or are holding them and you want to check in on other strategies, this is the perfect seminar. 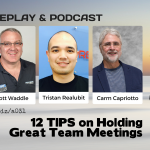 Your team must know how important their presence is in a meeting. Meetings can help you innovate and stay in touch with the needs of your people and you can share the needs of the company. Also, innovation requires you need to stick stuff up on the wall and meetings is a great place to make that happen. Always remember to never hog the meeting. Share the wealth. Everyone talks. Many different styles from a casual to formal agendas. Always remember the meeting is for your people. Important Study Shows the Graying of Our Technicians Poses a Big Challenge in the Very Near Future. Dave Milne serves as the President of the Automotive Training Managers Council (ATMC), a division of the ASE Industry Education Alliance. Dave is also the Executive Director of Special Test Programs for ASE. Dave shares the mission and value of ATMC, their most recent survey data that he says will have a big impact on the industry. We talk about education and recruiting our future technicians. You’ll also hear Dave speak to our industry training needs and trends, pay structure and how ATMC and ASE is working with the industry to bring awareness to our trade. Employment Law. Keep an HR Advisor or Attorney On Your Team to Prevent You From Becoming a Defendant. 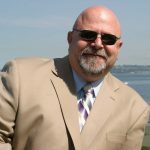 Rod Stephens from The Stephens Law Firm has worked with the ASA Northwest group for some time. He knows our aftermarket business. We chat about handbooks, disability, terminations, cell phones, wage and hour, and the depth of legal knowledge you need to know as your obligations are not only federal law but your state and city laws too.